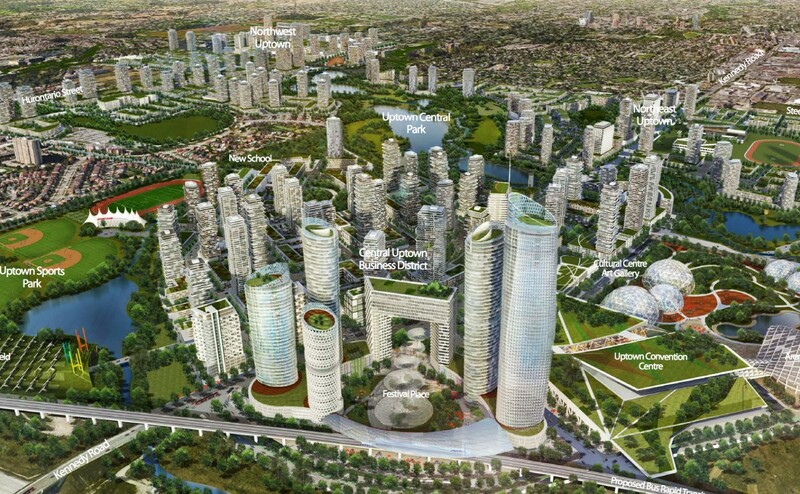 Going under the microscope, could the 2040 Vision become Brampton 2060? 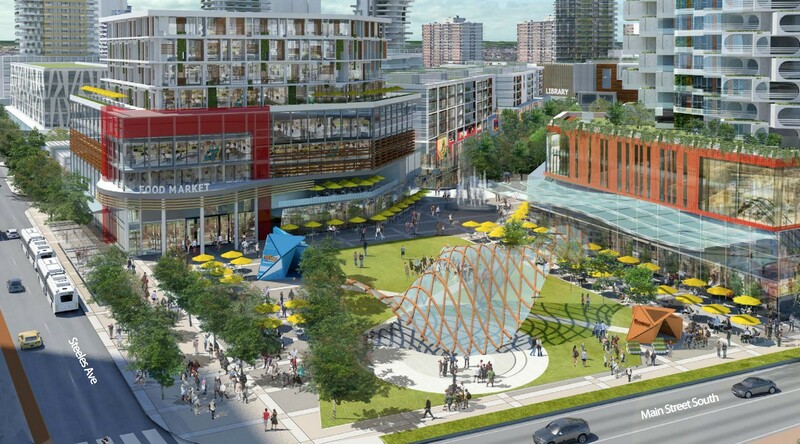 That line, which appears in Brampton’s sweeping 2040 Vision document, encapsulates the reasons for keeping an eye to the future. The previous council endorsed the 2040 Vision—with its detailed schematics for a futuristic, utopian city, completely unrecognizable from the current Brampton skyline—as the path forward to transforming the city. Until now, it’s been mainly an aspirational document. But as part of the 2019 budget, it’s set to go under the auditor’s microscope for a hard look—in beancounter-speak, a “comprehensive value proposition and return on investment” audit—on its 28 action items. The city is bringing in consultants from DIALOG and Deloitte to assist with the review. When the Vision was released in 2018, it garnered national attention. But it was notably lacking in details about the net cost of building this grand vision. The 2019 review, which will look to affirming and realigning the vision’s priorities to get the best value for dollar, could result in making the 2040 Vision more of a 2060 reality. That news might come as a surprise to residents who have celebrated the document as a blueprint for overcoming Brampton’s shortcomings when it comes to sustainability, transit and housing. However, the document was never meant to be a fully realized action program. Described by its authors as a “rich motherlode of thinking,” the 2040 Vision describes a future Brampton filled with prosperous, green, interconnected neighbourhoods, populated by healthy citizens who rely on bikes and transit more than their cars and who are continually engaged in the city’s thriving arts and culture scene. The audit proposal isn’t meant to reverse or eliminate any of these ideas. Creating the 2040 Vision was an extensive process that kicked off in September 2017. More than 11,000 Brampton residents contributed ideas to the project, through participating in about 65 community events, two workshops, and 20 work sessions. Overall, Mayor Patrick Brown says, this was a “positive process” for the city. It’s important to have an underlying idea of where the Brampton residents want their city to go, but that doesn’t mean the vision will remain static, he says. However, some things have changed since then. One of the first orders of business for the new council was a motion from Councillor Gurpreet Dhillon that roared through approval at city council, returning the city’s desired LRT route to the Main Street alignment that had been rejected by council in 2015 despite being championed by former Mayor Linda Jeffrey. The earlier rejection closed the door on millions of dollars in government funding that would have extended the Hurontario LRT directly into Brampton’s downtown. The debate back in December had Dhillon and Brown locking horns over differing visions for transit. But the motion passed unanimously after Dhillon agreed to Brown’s amendment to include an option to tunnel parts of the route that had been particularly controversial. The dream of an LRT in Brampton is still years away as the city undertakes the needed environmental assessments and identifies new funding for it. 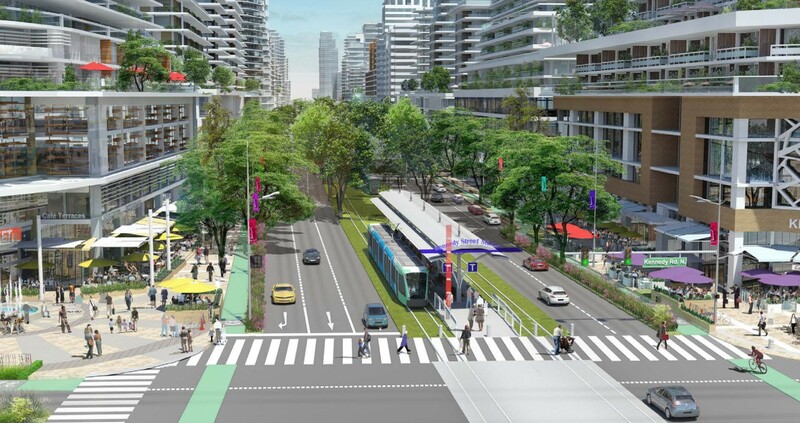 But the Main Street LRT is already a departure from the 2040 Vision. Therefore the review recommended in this year’s budget could serve as an opportunity to rethink transit elements in the document to align with the new council’s vision. The review will be completed in lockstep with portions of the Vision that are to be implemented over the coming year. That makes for a slightly confusing process, but one the city ensures will not delay key aspects that are supposed to happen this year. However, it could result in a slight change of plans for certain items slated for 2020 and 2021. Already, elements of the Vision have been pursued by citizen advocates. In February, David Laing, the chair of Bike Brampton — one of the groups that are part of Brampton’s Grow Green Network—formed a task force to make a pitch to council to create the Institute for a Sustainable Brampton. During his delegation, Laing told councillors a “tectonic shift” is happening within the city as people look to their elected officials to focus more on the environment and sustainability, especially as threats from climate change are looming larger than ever. Getting its ducks in a row, essentially, will help the City advocate more effectively when approaching senior governments for money to get things done. So what parts of the Vision are going ahead in 2019? For one thing, the Brampton Public Library will be working on plans for the “City Library” that will become the library system’s main hub, within the planned Centre for Innovation. The Policy Planning department will continue working on drafting a strategy for implementing the Vision’s action items. And, while the details are vague, the transit and urban design departments also plan to continue using the document as a guideline for decision-making in the year ahead.